Sixteen Columbus County seventh through eleventh grade students recently participated in this year’s Camp Disaster allied health summer camp. The four-and-a-half-day camp offered hands-on opportunities in medical laboratory technology, phlebotomy, CPR and first-aid training at Southeastern Community College. In addition to the topics listed above, campers learned about various health care professions and how SCC can help them reach their goals with a career in allied health. 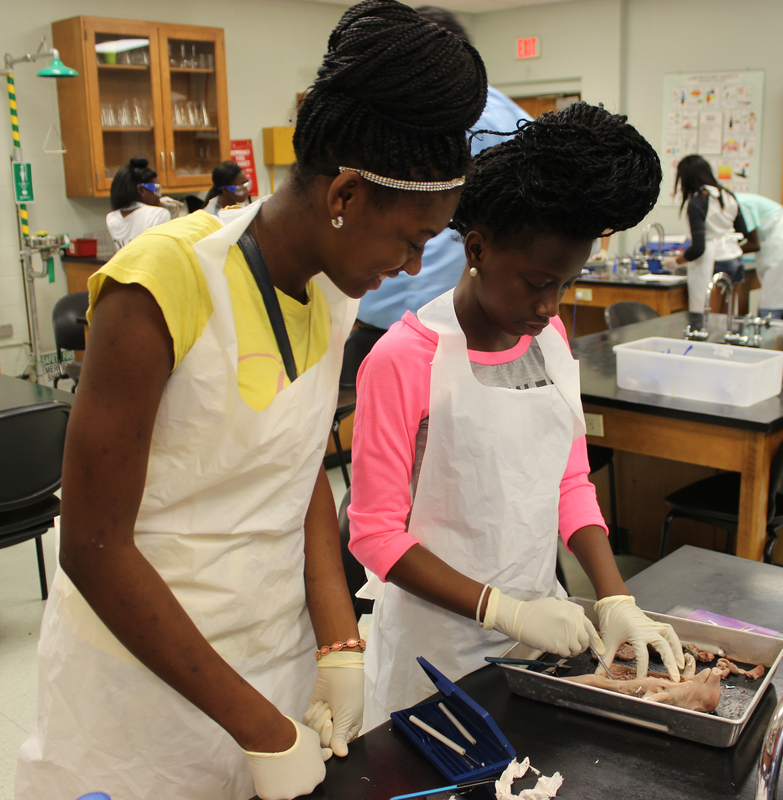 Ebony Pugh and Jada Godfrey work on their pig dissection during lab day.